Wisconsin ignition interlock laws require an ignition interlock device (IID) to be installed in the vehicles of all repeat OWI offenders, all first-time OWI offenders with a blood alcohol concentration (BAC) of .15 or more, and all drivers who refuse to provide a breath or blood sample for a chemical test at a traffic stop. A first OWI offense in Wisconsin is a misdemeanor charge which carries a penalty of a $300 fine and a suspended license. These penalties are doubled if there was a minor under 16 in the vehicle. You will also have to pay a driver improvement surcharge of $355. A second OWI within 10 years is a misdemeanor charge which carries penalties which include a fine of up to $1100, a license suspension of at least one year, and a jail term of between 5 days and 6 months. If a minor under 16 was in the vehicle, penalties are doubled. You will also have to pay a driver improvement surcharge of $355, and all vehicles under your name will have to either be immobilized or have an ignition interlock installed. A third OWI within 10 years is a misdemeanor charge which carries penalties which include a fine of up to $2000, a license suspension of at least one year, and a jail term of between 5 days and 1 year. If a minor under 16 was in the vehicle, penalties are doubled. . You will also have to pay a driver improvement surcharge of $355, and all vehicles under your name will have to either be immobilized or have an ignition interlock installed. 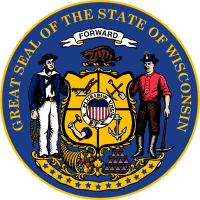 For more information about ignition interlock in Wisconsin call 800-634-3077. I consent to receive calls from LifeSafer Ignition Interlock at the telephone number provided above, including promotional calls. I understand that consent is not a condition of purchase. LifeSafer restores your freedom to drive quickly, safely, and legally. LifeSafer is a national leader in ignition interlock technology. We helped launch the industry in 1991, and we still set the standard for reliable technology and supportive customer care. We are experts. LifeSafer supports drivers and their families through device installation, license recovery, and maintenance. We know the legal requirements and processes in every state, so we can help you exactly where you are. LifeSafer excels in car breathalyzer technology, and we will get you through this process with speed and dedication. Our Quality Promise: We will take ownership of the total customer experience, providing accurate, timely and reliable services enabling our customers to successfully complete their programs.